Do you, a family member, friend or acquaintance suffer from “color blindness?” Color blindness affects 1 out of every 12 males and 1 out of every 250 females. Previously, solutions to color blindness were not helpful. We at South Coast Optometry proudly present Chromagen as a possible solution! In clinical trials, over 97% with color blindness reported a significant enhancement of their color vision with Chromagen lenses. These lenses are available in regular glasses form as color correction glasses or soft contact lenses. 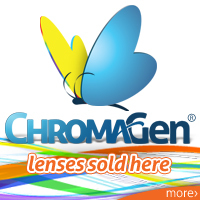 New and existing patients from Irvine, Corona del Mar and Orange Couty are welcome to try our Chromagen lenses solution!